Ladies, we all know the importance of a good foundation. But without the correct technique, it’s easy to settle for less…aesthetically speaking. 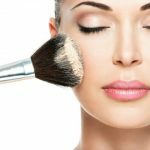 Your appearance is key, that’s why if getting the foundation right is a hustle then this article is just for you. Don’t worry, we got you covered. 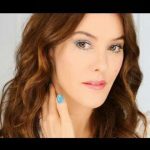 Let’s discuss some of the basic techniques and preparation methods on how to apply foundation correctly giving you the ‘oomph’ you desire. Always begin by getting a good cleanse. This helps eradicate germs and oils that may have been collected throughout the day. Even before you apply foundation, you must cleanse the face. Using your fingers, apply the cleanser and massage in a gentle circular motion. This maximizes the effectiveness of the cleanser getting it deep into the pores. Cleansing milk, gel, mud, water, and balms achieve the same effect. Exfoliate the skin in order to create a good base for the foundation to be applied. Want smooth un-flaky skin? exfoliating is the way to go! Simple apply exfoliate scrub just like you would with cleanser and massage the face. Try to get into the habit of exfoliating 2-3 times a week. This promotes healthy skin. Shortly after exfoliation, you want to follow up by applying toner. A good toner aids in the maintenance of smooth glowing skin. Shrinks the appearance of pores on the face. Ever seen the ground of the Sahara desert? that’s the power of a lack of moisture. Ladies, we all yearn for irresistible flawless skin. Therefore, cultivate the habit of moisturizing if you want to know how to apply foundation correctly. It will also help protect your skin from the harmful sun rays and glow the skin. For dry skin, use a thicker moisturizer. For oily or sensitive skin. use a gel-based moisturizer. To ensure that the foundation to be applied will not fade away easily, use a primer. It effectively resists that annoying shine and does a pretty good job at preventing the makeup from clinging onto the skin. There’s no special way on applying it, you can simply use your finger to drive the primer into the pores and skin. Gel, primer powder, and cream are variations of the product so select based on preference. The final step before applying foundation, a color corrector will hide away uneven skin patches and eye bags / dark circles. 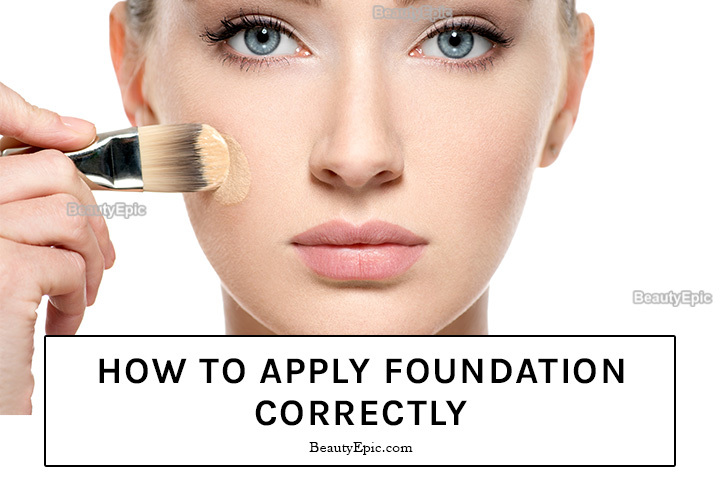 You wouldn’t want to use a foundation before applying the corrector. For different skin complexities, use the correct color corrector for the problem. For redness, use green. On tanned skin, use yellow. Lavender conceals yellow tones well while pink/peach corrects spots and shadows on fair/medium skin. Start off by applying a small amount. This reduces the cakey, puffed up look caused by too much foundation. The places to dab the foundation on are the forehead, nose, chin and underneath the eyes. Re-apply if needed. With a brush (fingers can work too), begin to spread the foundation. For the areas above the nose, spread foundation towards the hairline. At the areas below the nose, spread foundation towards the neck. Continue to spread the foundation at the areas underneath the eyes and on the nose and chin. We use a stippling technique to help apply foundation correctly. It involves gently tapping the brush when spreading. Don’t rub, nor brush or wipe just tapping. Begin to blend the foundation until no edges of lines can be spotted. 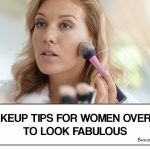 A well-blended foundation will not be easily noticeable unless it’s a tone darker than the neck. Blend smoothly onto neck, ears, hairline, and jawline. Gently apply concealer directly onto the foundation. We do not want to use force as it will peal into the applied makeup. 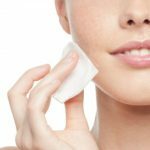 Squeeze a bit of concealer at the back of your hand and cover up blemishes and pimples. For the grand finale, apply setting powder over the foundation as the finishing step. Setting powder as the name suggests, ‘sets’ the foundation in place. It prevents it from moving around and reduces oil formation build ups. (i). Color: Ideally, you would want to settle for a color that blends against your skin tone without it blending. (ii) Skin Sensitivity: Not everyone will experience the same results with the same foundations. Get well adapted to the product brands out there. Select the one best comfortable against your skin. Light, liquid,cream or powdered foundations offer different skin sensations in respect to sensitivity. (iii). Coverage: Although not as necessarily crucial. It’s good to know that there are a variety of foundations that offer a wider or smaller coverage spread. These are the light, cream,liquid and powdered ,as mentioned in the previous point. It’s important to understand that foundation should be applied to a clean face. Cleanse effectively for great results. The type of foundation determines the method of application while the technique determines the result. Remember, gently tap the foundation continuously as you spread. It is essential to remember this technique always when wearing foundation and witness the fabulous results thereafter. 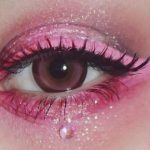 Let's discuss some of the basic techniques and preparation methods on how to apply foundation correctly giving you the 'oomph' you desire.